A replacement front plastic case assembly for the HP iPAQ 1930 and 1940 range. This original manufacturer spare part in.. 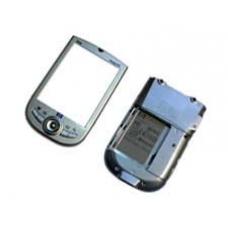 This rear casing is the complete silver plastic assembly to replace the back shell on your iPAQ h1920, h1930, h1935, h1.. Replacement front case assembly for the iPAQ H1910 only. This original part includes the four quick launch buttons, pow.. This rear casing is the complete silver plastic assembly to replace the back shell on your iPAQ h1910 and h1915 models. ..